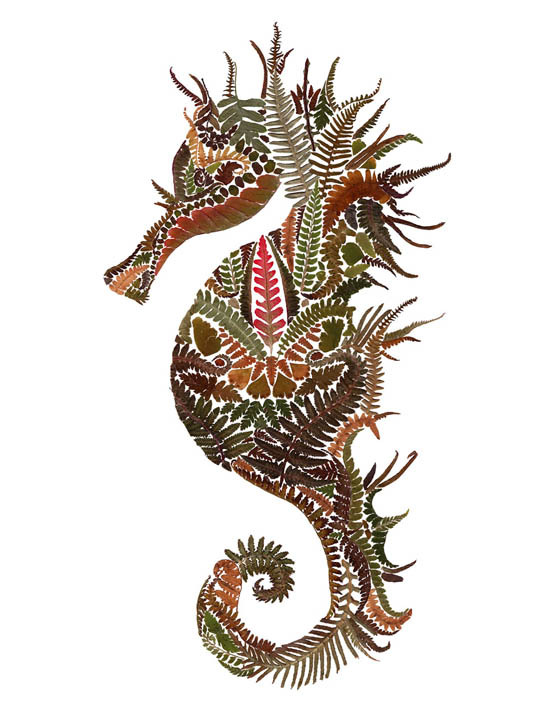 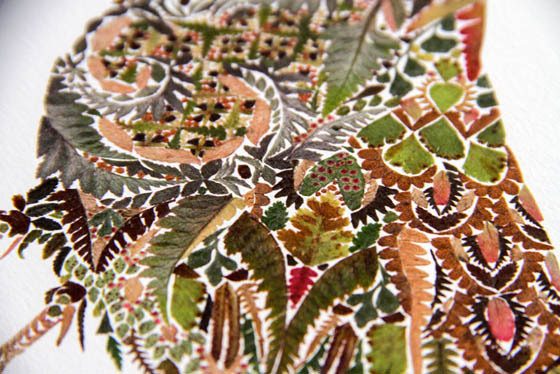 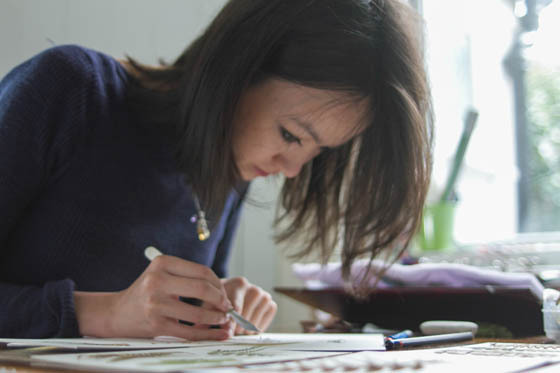 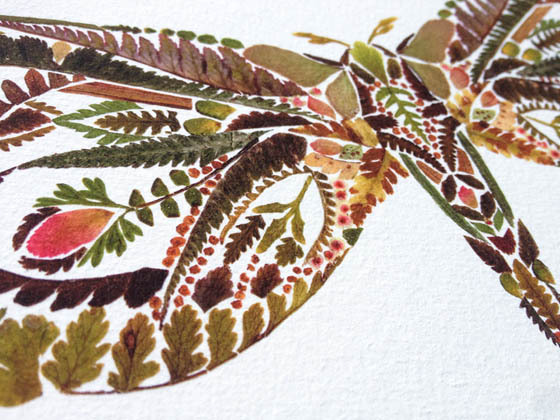 Assembled with patience, imagination, and a steady hand, artist and illustrator Helen Ahpornsiri creates below incredible delicate pressed fern illustrations from her studio in East Sussex. 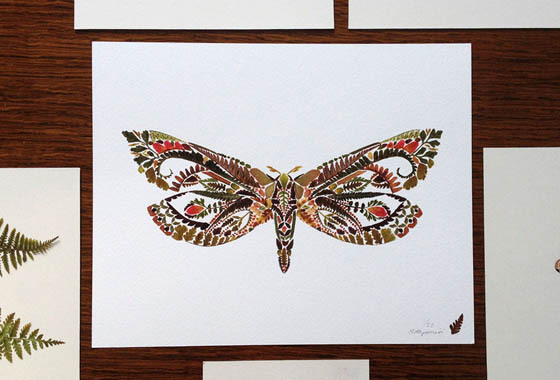 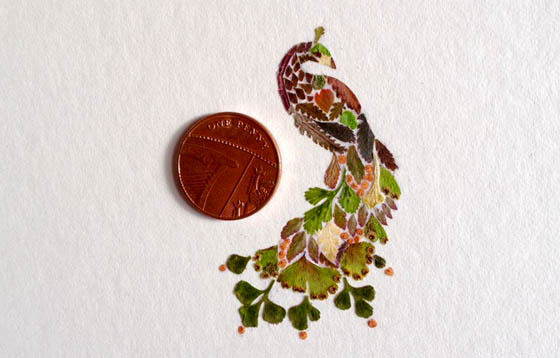 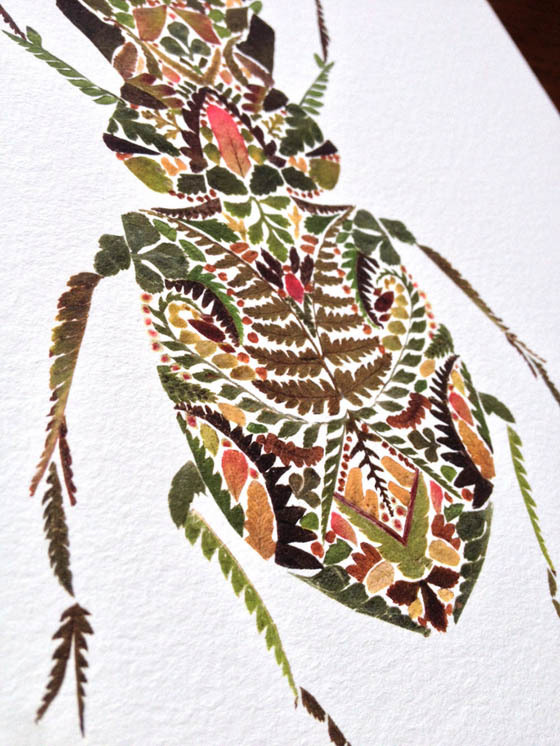 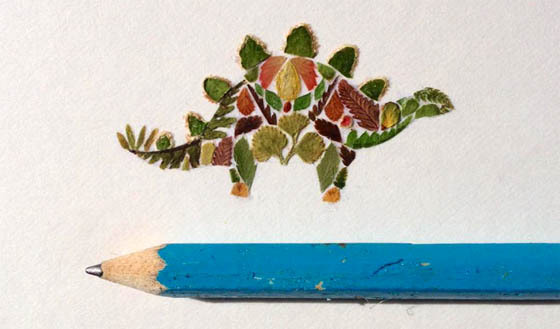 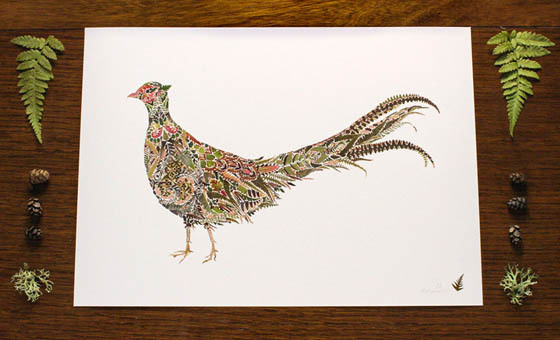 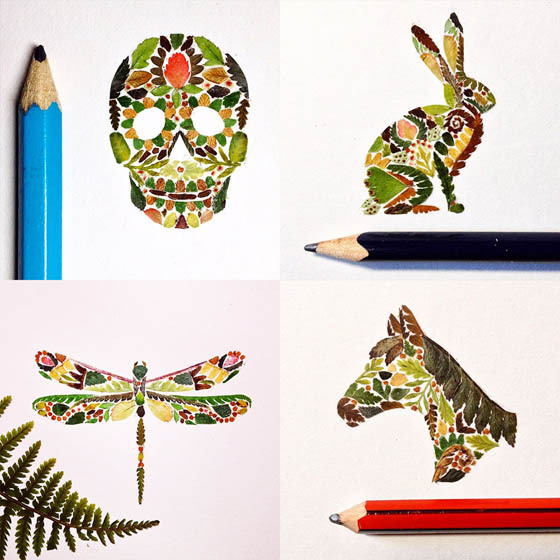 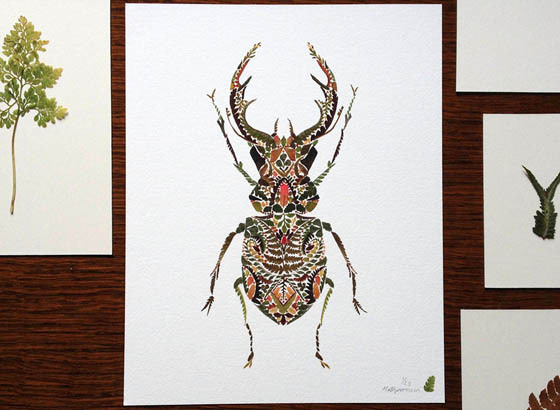 Using tiny bits of stems and leaves, Helen created honey bees, pheasants, magpies, spiny seahorses, weevils, moths, Totoros, and other creatures which are scarcely larger than a coin. 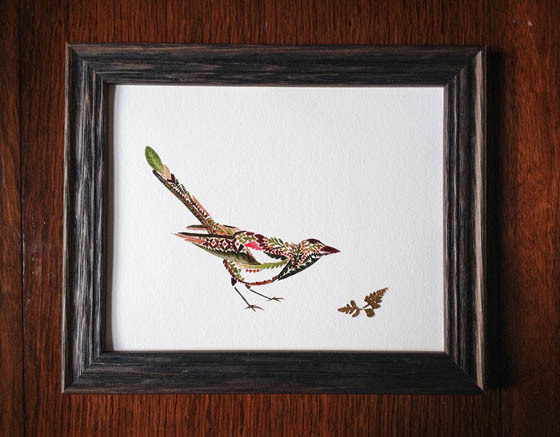 Watch her assemble a tiny robin in time lapse below and if you like her work, you can also follow her on Instagram.